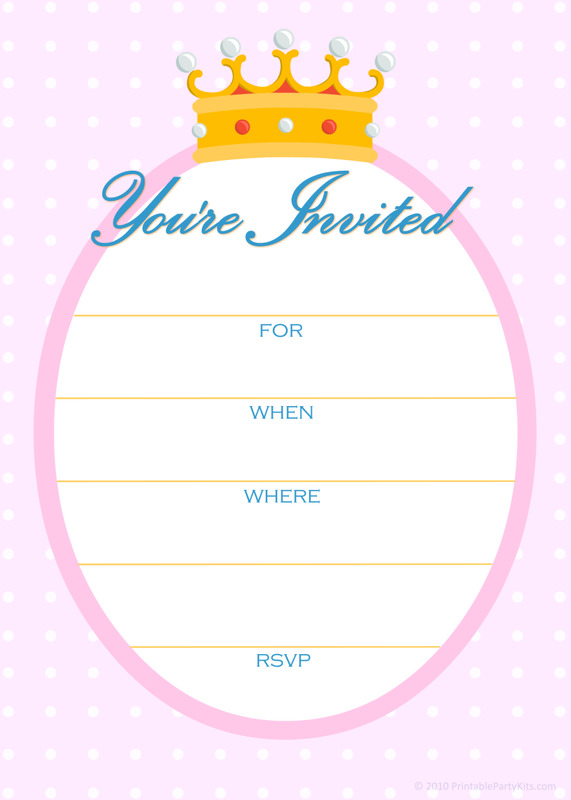 I wish these free princess party invitations had been around when I was a little girl; I know would have loved them. Of course, in those days we wouldn't have had a computer to download them or a printer to print them with, but that's another story! When I was a little girl, I loved to play dress-up. I made sure I was always the princess, unless we were playing The Man from U.N.C.L.E. (You may not have even heard of that if you're under 30 years old, but it was a famous TV show that aired from 1964 to 1968.) I loved playing dress-up so much, my father built me a huge chest to store my dress-up clothes on our back patio. 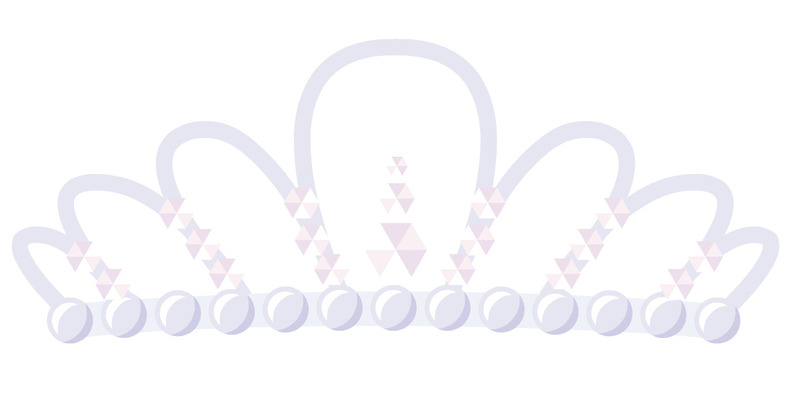 The chest was about eight feet long, four feet wide and three or four feet tall, so it held a considerable number of magical princess dresses and plenty of other royal paraphernalia. 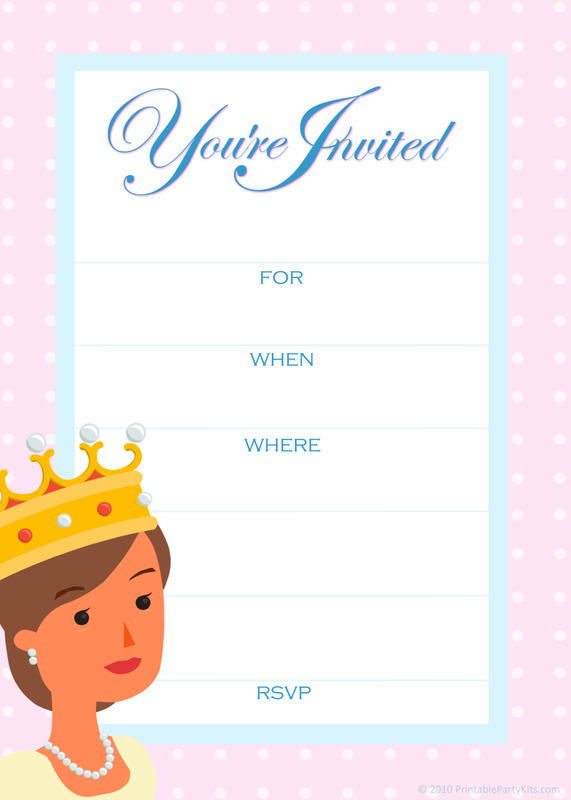 Please scroll down to download the free invitation templates and read the instructions for making them. Because we lived about an hour away from Disneyland and I went there frequently, I also had a glow-in-the-dark Tinkerbell wand my parents bought me. I used it as my princess scepter and it was my prize possession. 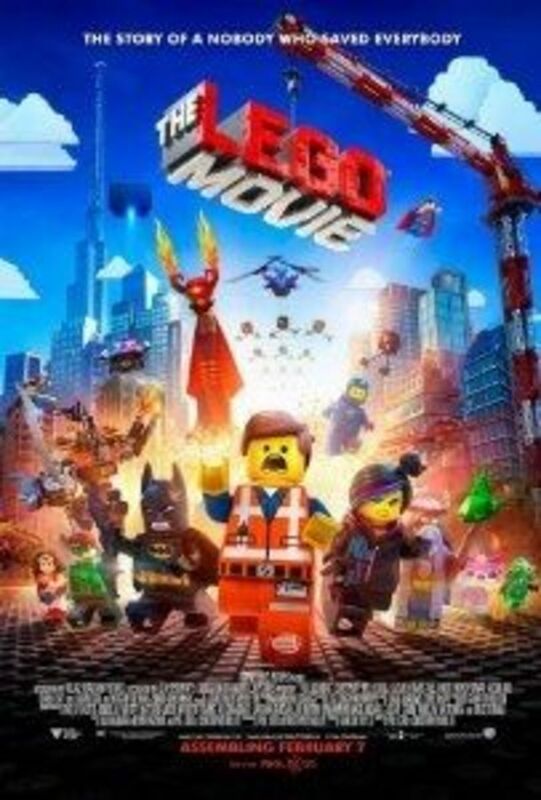 I loved it so much that I used it until the star at the top eventually started to droop. Eventually it fell off and I had to face that it was time for a new wand. I don't recall having a princess birthday or tea party specifically, but every day was pretty much princess day for me. Not that I lived a charmed life, by any means; our household had more than its share of dysfunction. 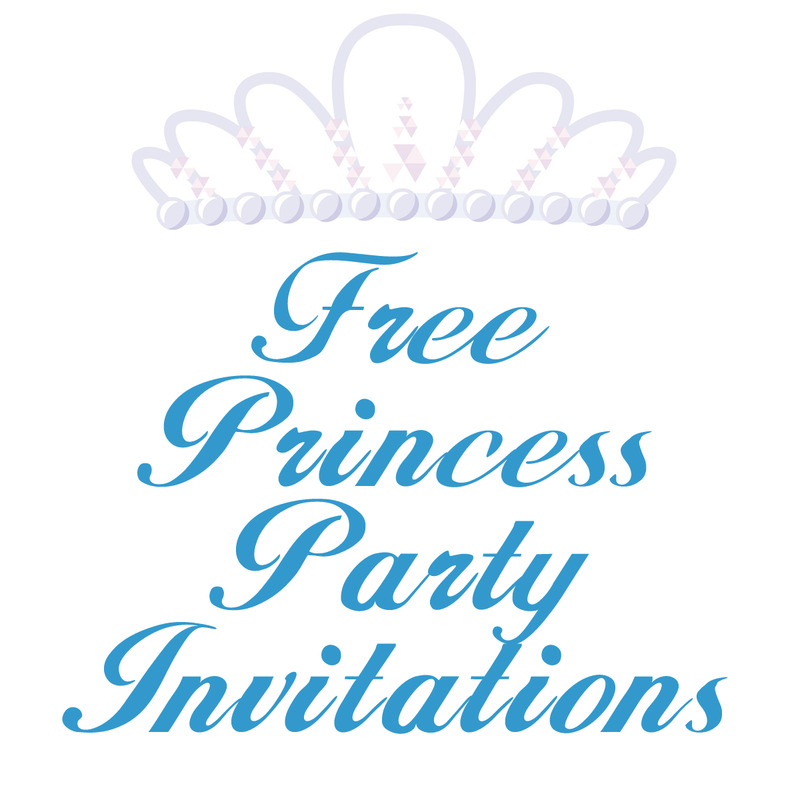 But I could always find refuge by going to my princess world. That's probably why it was so important to me to put on those frilly dresses, way-too-big high heels and fake tiara. Holding court over my "subjects" (even if on some days that meant just my cats) gave me a place where parents didn't fight and little girls didn't feel vulnerable. 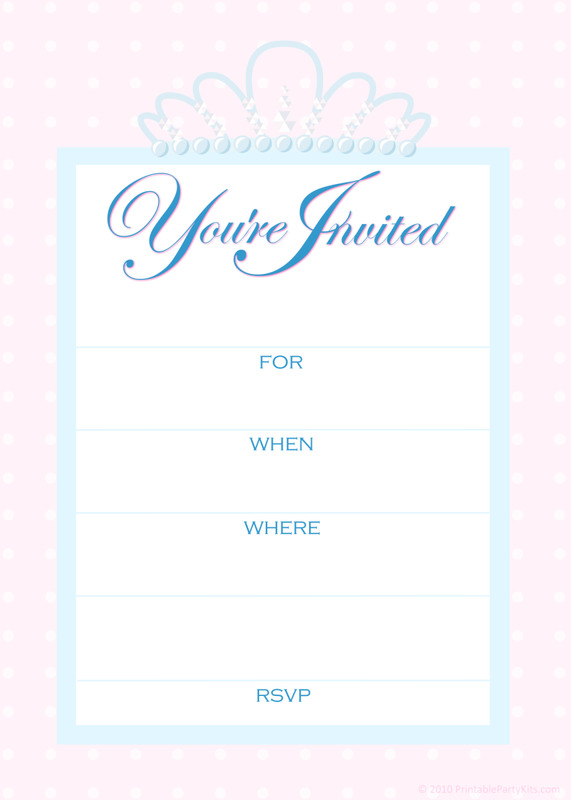 That's probably way more information than you needed about me, but I just wanted to emphasize how much I resonate with these pretty princess invitation images. It's great that we live in a world that allows us to grow up and find a way to take the dreams of youth and turn them into something useful. 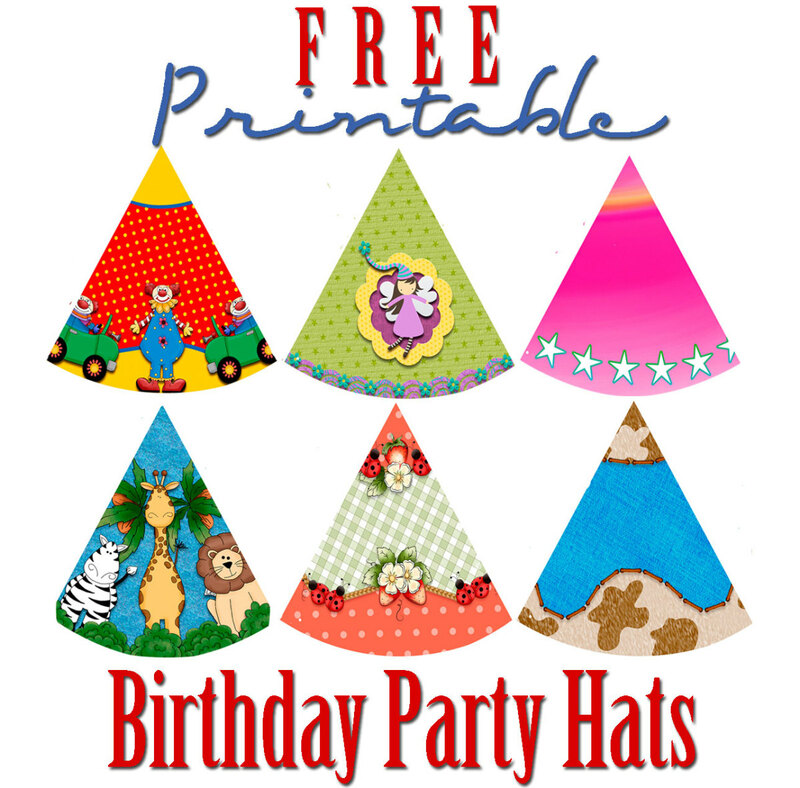 To download, click on one of the templates in the right column to make a larger size image appear. If you have a PC, right-click your mouse to save the art to your hard drive. If you have a Mac, control-click on the artwork until you see an option to save it. 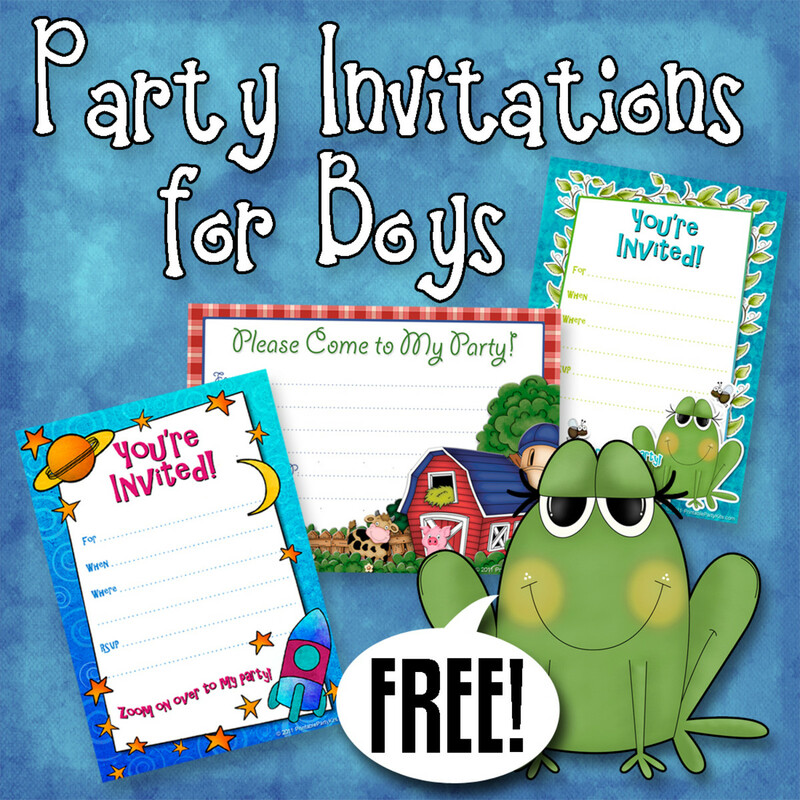 How old is the child for whom you will use these invitations? You're welcome to use these free princess party invitations to make invitations for yourself, or your family or friends. 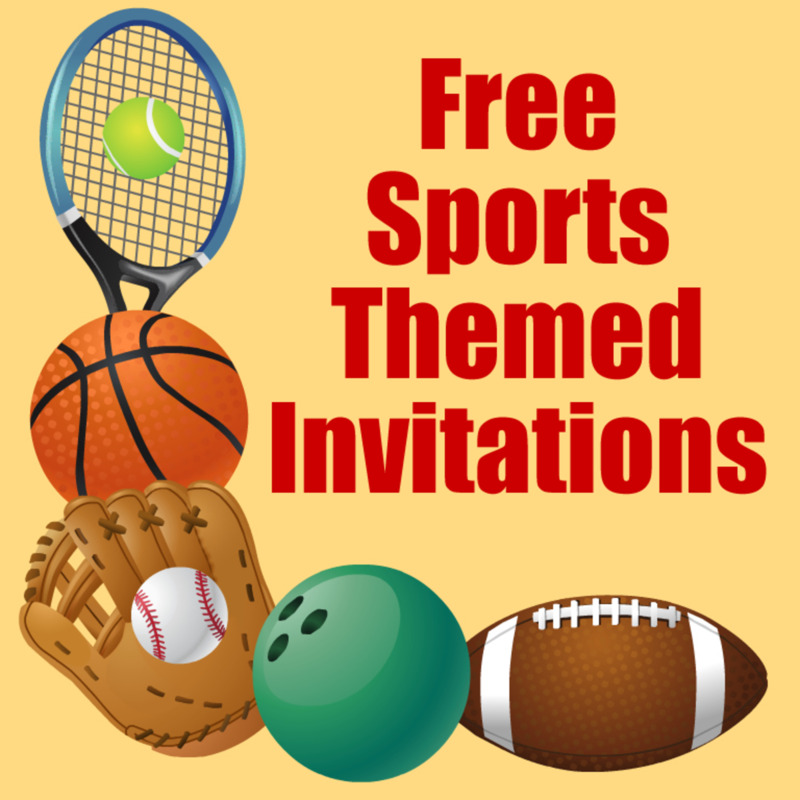 But you may not sell these invitations in any form, printed or digital; group them into a collection and give them away; or incorporate them into commercial products without permission. If you would like your site or blog visitors to see these images, please post just one (or use a screenshot to post more than one) and provide a link to this page. Please don't post an image without a link. Thanks! 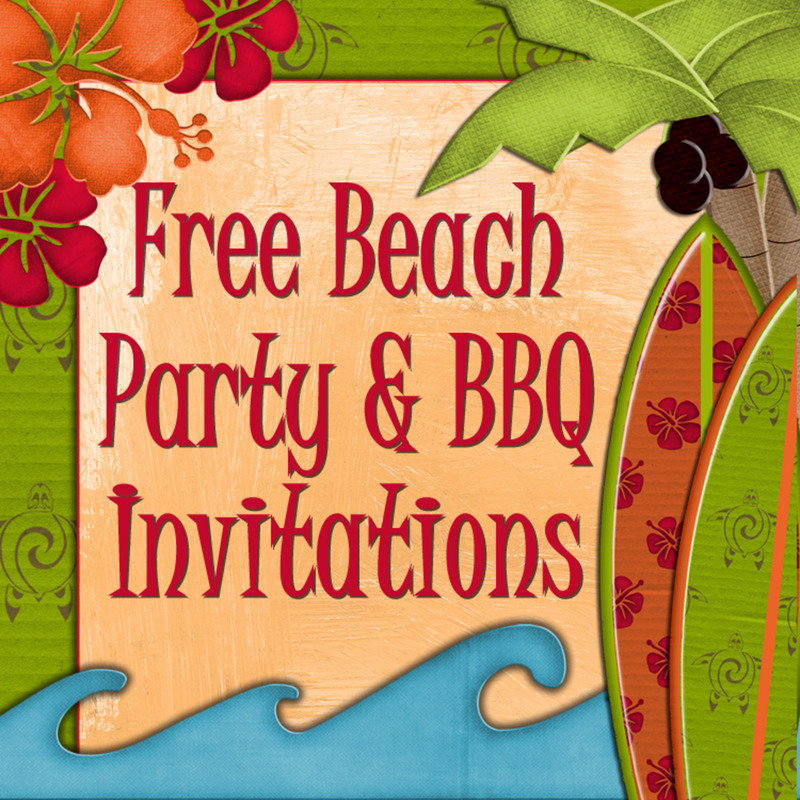 These invitation templates were created at Picnik.com, the free Web graphics program. 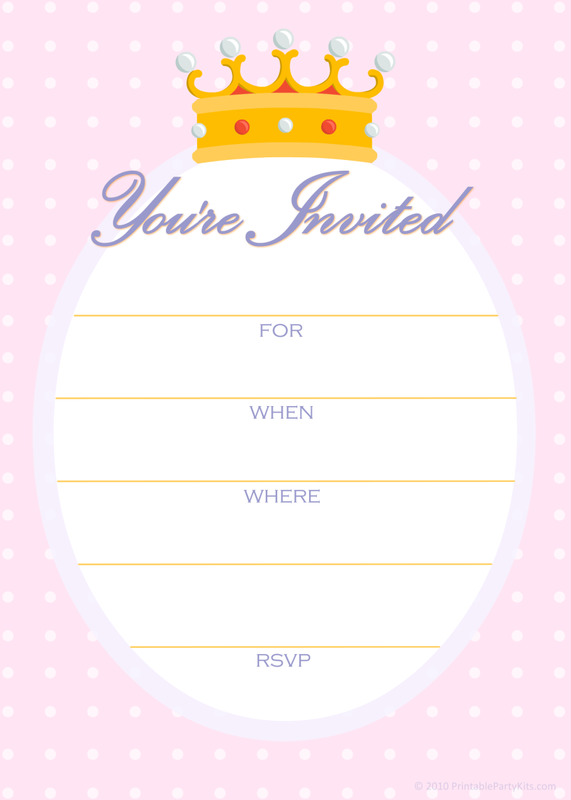 The overall invitation designs are copyrighted PrintablePartyKits.com, but the individual illustrations used within the invitations are subject to the Picnik terms of service, which are viewable from a link at the bottom of the Picnik site. 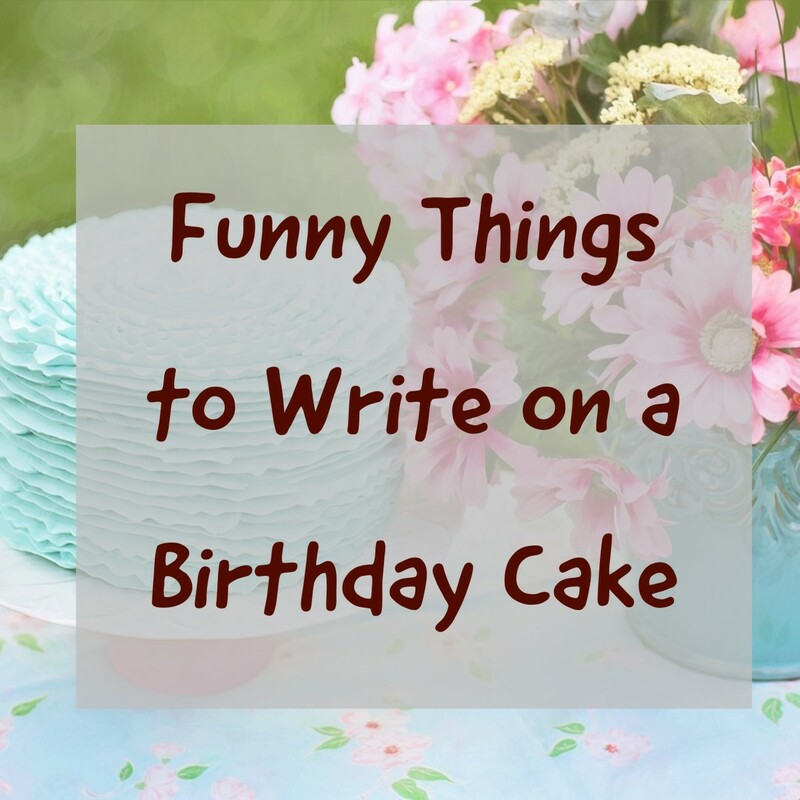 Fun things, you shared here for a little princess.